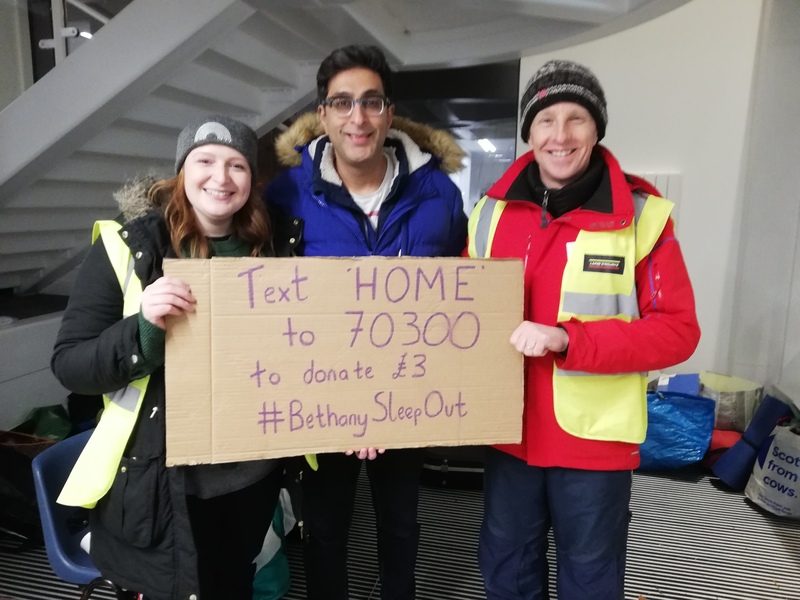 Over 190 brave fundraisers took part in Bethany Christian Trust’s nationwide Big Sleep Out events in Glasgow and Edinburgh to raise support for homeless people in Scotland. Despite the wintry weather, sleepers of all ages camped out at the City Chambers in both Glasgow and Edinburgh (on March 8) in support of the national homeless charity. While wildfire explorers built shelters in Edinburgh, two hockey teams from Strathclyde University braved the rain in Glasgow. 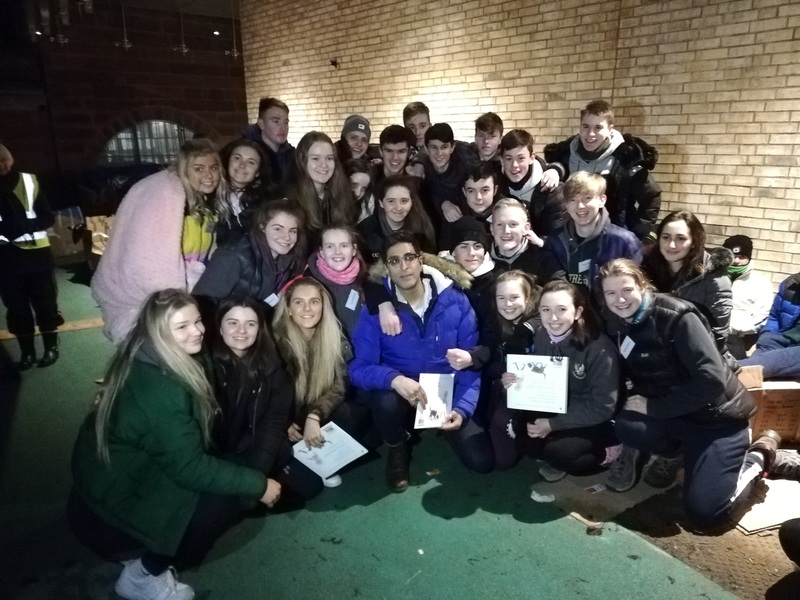 The St Aloysius Sleep Out alone (on March 16) raised over £7,000 towards Bethany’s work and featured special guest Sanjeev Kohli from fan-favourite Still Game. More than 80 sleepers from Girlguiding Edinburgh attended Fettes College (on March 23) and took part in a scavenger hunt around the historic campus and joined in campfire songs before bed. In the morning, sleepers across all Bethany Sleep Out events were greeted by Rapid Relief teams for hot drinks and a breakfast roll. The money and awareness raised from the Bethany Big Sleep Out will go towards Bethany’s emergency night shelter and other winter work with the homeless in Scotland. Started in Edinburgh in 1996 with a two-week pilot over Christmas, Bethany’s Care Shelter has grown to 32 weeks in response to need and now is a lifeline for hundreds of homeless people who would otherwise be forced to sleep outside during the cold winter months.